Nad’s Ultra Smoothing Exfoliating Wax Strips are wax strips with a built-in exfoliating surface for smooth, hair-free skin. The strips feature Nad’s patented XFol technology to buff away dead skin and prime and release ingrown hair, allowing the wax to adhere to more hair. They are also infused with pomegranate and pink grapefruit extracts. The strips will remove short hair from 1.5mm long from the legs, arms and bikini area. Each pack contains Post Wax Calming Oil Wipes. I found these exfoliating strips very disappointing and they did not live up to my expectations. The one thing I did like about the wipes were they smelled nice. The exfoliating side made my skin red and it felt like sandpaper on the skin. I would not recommend using the exfoliating side as it was too abrasive. The actual wax was hard to warm between my hands. The wax did not grip the hair well as it only removed some of the hair even after 2-3 times. My skin was red by the end as I had to go over the area 2-3 times. This is not very good for your skin obviously.  Overall I would not repurchase as the strips did not remove unwanted hair effectively. I have been using cold n hot wax for so long but as I came to Australia, I started using nad’s sensitive wax strips. They are very easy to use, doesn’t take long to wax unlike cold wax. It doesn’t make a mess. It takes very less time to just finish off waxing. Only thing is to easily make the strips usable, we have to run it between hands n they are ready to be used. I mostly buy it from chemist warehouse and always keep it in bulk when on sale. It’s a bother and great expense to visit the salon as frequently as I require, and I find it way too time consuming to wax my legs. I love travelling, and so I have a big problem trying to keep smooth, while travelling and not having the time to wax or being able to carry a wax heater abroad. My daughter gave me this product to try and I was very sceptical as no other wax strips had ever worked for me. This one does and is now a must have in my travel kit. The exfoliating side is pointless though, as other reviewers indicated. It serves no purpose, and is a major irritant when trying to warm the strips between the palms. I am not aware if facial size is available, and just cut off small strips to use on my upper lip; chin etc. I haven’t been able to find it recently though, and hope it’s not been discontinued. Make sure to warm the strips thoroughly. This product comes with 10 double-sided strips, so actually 20 strips. On the outer side of the strips it is rough for exfoliation. Plus, it has a fruity smell. Before waxing, I rub the rough side all over my legs, and this seriously helps with ingrown hairs. After rubbing the outer side on my legs, the rubbing action sufficiently heats the wax on the inside to separate the strips. These waxing strips do good job of removing hair on my legs. I also cut them into smaller pieces for waxing other areas. Make sure you rub to heat wax before using. Two words: "Ouch!" and "Eww!" The exfoliating side feels like sandpaper, which isn't nice on the area you're exfoliating or on your hands when you're supposed to rub the strip before separating and applying to skin. It's hard to warm the wax properly. Perhaps that's why I couldn't get a clean lift when it was time to pull the wax strip so I was left with a sore, sticky mess. I tried using the wipe to clean it up, but it was quite dry and useless. I ended up resorting to a razor and a ton of shower gel was needed to clean up what was left of the wax. A total flop! Luckily I received a sample of this to try. On the outer strip are pink coloured rough exfoliating bits. I found it did nothing to my legs. It just felt rough like sandpaper against my legs but I am not sure it exfoliated anything. Once I tried that, I rubbed the strip to warm up the wax sheet inside. It was a bit weird as you would be exfoliating the palm of your hand in order to heat up the strip! I thought there would be more wax on the inside to cover most of the sheet but I was wrong. The wax did remove my short hair like the description said but not all in one go. I applied warmth to the sheet before removing in the opposite direction of hair growth. One sheet does not complete one leg, you would need two. I wouldn't purchase as I was not happy with the outcome. I would probably go back to shaving and it seems much quicker than this. The exfoliating sides weren't that helpful, and the wax itself didn't really work out for me. However, it did smell heavenly. It really didn't live up to my expectations for this product and I really wouldn't purchase it as I got them as a free sample. I would prefer just using the regular Nads wax strips that I normally use than these ones. The 2 in 1 wax strips are one side an exfoliator to get rid of dead skin before waxing and the other side is the wax strip to remove the hair. The exfoliating side to me felt like sand paper. It was really rough and I had a hard time trying to exfoliate my legs. I wouldn't consider myself someone to have sensitive skin but even for me it was too harsh. I would much rather use my own exfoliating products than to use the one provided. It also makes it difficult to hold because it is paper like so I feel like I don't really get much use out of it. The wax itself was alright. I placed it between my hands and rubbed it a bit to warm it up. The wax was thick but I feel like it didn't remove the hair properly. Probably because it wasn't melted enough to really stick to the hairs. Overall I was actually quite disappointed with the results and not something I would use again. The only complaint I have about these is the exfoliating side of these strips. They’re not worth the bother and didn’t do anything at all, they also made it quite difficult and uncomfortable for your hands when you have to rub the wax strip to warm the wax. It was quite disappointing. As well as a total fail. The wax strip itself was pretty good . They’re seemed to be more wax on these strips than other nad’s versions and I was able to get more use out of them in that department and I noticed that they removed more hair. I particularly loved the calming oil wipes they removed all traces of wax from my legs unlike other versions of these wipes where I couldn’t get all the wax residue off using the wipes. These were easy to use and were quite moisturising. These strips may suit some people but I wouldn't recommend them for sensitive skin. They're meant to be easy, effective, and essentially a way to cut your beauty routine in half. The idea is good - Exfoliate and wax all at once... But the exfoliating part is a little rough on my skin, and while the wax strip is standard, it's not very comfortable to use due to the rough (exfoliating) back that you have to hold and pull. It's also tricky to grip. Hair was removed easily but my skin was a bit irritated, even though it isn't when I use the ordinary wax strips. I don't see the point in this 2 in 1 product. It's difficult to use, and I think it's a much better (and easier) idea to just exfoliate my skin a day or so before waxing. Waxing straight after exfoliation is probably a no-no for anybody with sensitive skin. I prefer the standard wax strips. Thank you for your feedback regarding the Nad's Exfoliating Body Wax Strips. It sounds as though the Nad's Body Exfoliating Wax Strips are not suitable for your sensitive skin. We recommend trying the Nad's Body Wax Strips for Sensitve Skin which will be more suitable for your skin type. Used these on my 14 year old who had only been waxed once before. Used on underarm, legs and bikini and worked a treat. This is absolutely hands down, the worst product I have ever used. Not only are they ineffective they are also defective. I am not sure who they were tested on, but I have to doubt that any body could actually get hairless legs using these alone. 2. In order to get the wax to stick to the hair you have to rub the outer side of the strip (standard), but in order to heat this wax your hand gets exfoliated which is uncomfortable. My hands now feel like I've hand papered them. If I could rate these a zero I would. I'm ishally a fan of wax strips but I will never buy or recommend the purchase of these strips. Don't buy!!! Choose another product!! 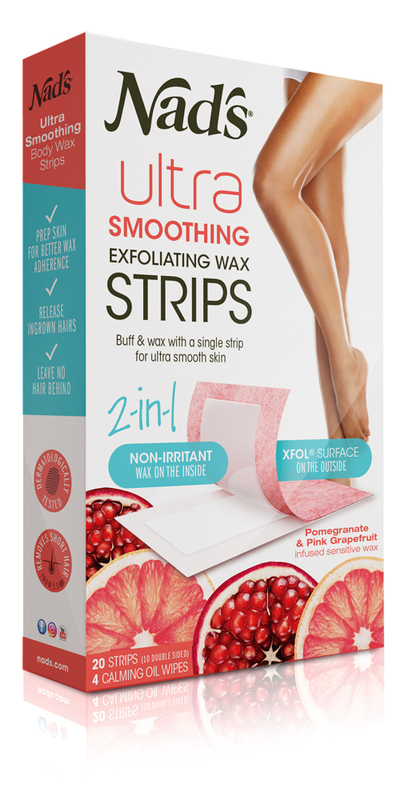 I try to find the best hair removal solutions at home and I absolutely am in love with the the Nads Pomegranate & Red Grapefruit 2-1 exfoliating wax strips. The fragrance has such a refreshing summer scent about it making the experience more enjoyable. I find these strips even remove the very shortest of hair. This product saves me time and money instead of costly trips to the salon. I have found this amazing product removes my hair very well even in the most sensitive areas resulting in smooth skin that lasts for weeks. Unwanted Hair on the body and sensitive areas.